The Michigan Alzheimer’s Disease Center is pleased to announce the launch of the Isadore & Margaret Mezey Junior Investigator Travel Award competition. 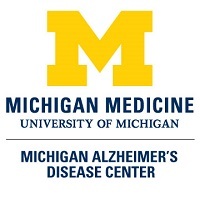 The Michigan Alzheimer’s Disease Center is committed to promoting the advancement of dementia research skills through the provision of training resources. This award will pay for travel expenses associated with participation in national or international conferences focusing on the latest discoveries in neurodegenerative research and clinical practices. Awardees will be junior investigators (from the University of Michigan, Michigan State University, or Wayne State University) who have a keen interest in advancing their careers in the dementia field. Awardees will use the award to present a poster or talk at an annual meeting associated with major brain-related associations or societies, including but not limited to the American Neurological Association (ANA), Society for Neuroscience (SFN), and American Academy of Neurology. Up to two awards will be determined by a review committee. An abstract, biosketch in NIH format, and career summary explaining how the Mezey Award would advance career development and goals as related to neurological diseases are due October 19, 2018 by 5 pm. Applications should be submitted through the University of Michigan Medical School Office of Research’s Competition Space portal: https://umms.infoready4.com/#homePage. 1) Please submit an abstract, limited to 200 words, not including title, topic area, author, author affiliation, conference name/location, poster or talk information. Use Arial font 11, 1/2 inch margins. 2) Please submit a career summary (up to one page) describing how the Mezey Award will advance your career development and career goals related to neurological diseases. Use Arial font 11, 1/2 inch margins. 3) Please submit a biosketch (NIH-format) using the template provided. Please submit an abstract, career summary, and biosketch combined into one PDF and labeled with your name.